Ian Graham trained as a medical sociologist at McGill University and his postdocoral studies at the Clinical Epidemiology Program at the Ottawa Hospital Research Instituted focused on clinical epidemiology and health services research. Professor Graham’s research program has evolved to encompass knowledge translation (implementation) science. A core component of his research program focuses on understanding how engaging patients and other stakeholders in the research process (known as integrated knowledge translation) works and the impact it produces. He is co-originator of the Ottawa Model of Research Use; the Practice Guideline Evaluation and Adaptation Cycle; the Knowledge to Action framework; and a founding member of the international ADAPTE collaboration. He has published over 300 peer reviewed articles and is co-editor of Turning Knowledge into Action: Practical Guidance on How to Do Integrated Knowledge Translation Research (2014), Knowledge Translation in Health Care (2013, 2nd edition) and Evaluating the Impact of Implementing Evidence-based Practice (2010) and co-author of CAN-IMPLEMENT©: Planning for Best-Practice Implementation (2014). From 2006 to 2012 he was seconded to the position of Vice President of Knowledge Translation at the Canadian Institutes of Health Research. Professor Graham has been twice awarded a Queen Elizabeth II Jubilee Medal (2002, 2012) for contributions to research. 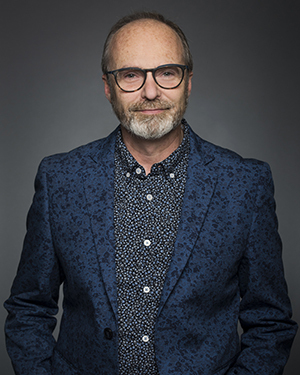 He is the recipient of an inaugural Canadian Institutes of Health Research Foundation Grant entitled, “Moving knowledge into action for more effective practice, programs and policy: A research program focusing on integrated knowledge translation” [FDN #143237]. He is a Fellow of the Canadian Academies of Health Sciences, New York Academy of Medicine, and the Royal Society of Medicine.